MMOBomb’s Spunkify recently visited the ZQ Game office in California and sat down with Laura Stephens, the production assistant at ZQ, in order to find out a bit more concerning their upcoming browser based MMORPG The Lost Titans. A game that seemingly pushes the graphical boundaries for browser games into a new realm. So what exactly is behind The Lost Titan’s pretty face? Read on to find out. MMOBomb: What exactly is The Lost Titans, and what makes it so impressive? The Lost Titans is a Free-to-Play browser game that presents amazing client-level 3D graphics through our proprietary game engine. It’s really easy to forget that you’re playing a browser game when there is so much detail in the game, ranging from interactive environments, to detailed maps, and even the complex animations of the combat system. In addition, since the game runs in-browser, the player needs to only install a small plug-in that’s less than 1 Mb in size in order to run the entire game. An added bonus is that the game will continually be updated, but all changes will be automatically installed into the game because it’s hosted through the browser. Only a minimal download is required. The Lost Titans is an Action MMORPG that takes place in a universe that is a fantastical reinterpretation of ancient mythologies. Because of this, many players may consider it to be a Fantasy MMORPG as well. Due to the multitude of activities within the game, ranging from activities and events within the game, to both PvE and PvP, there are many ways for players to participate in various elements of the game, which can appeal to players with many different interests and backgrounds. MMOBomb: What’s the story behind The Lost Titans? The story influences of the world of The Lost Titans are mostly based on the ancient and mythological Greek, Egyptian, and Atlantean civilizations, though altered to fit an entirely new and fantastical universe. In Greek Mythology, the Titans (who ruled before Zeus took charge) were imprisoned in Tartarus and canonly are still there to this day. However, according to the story of The Lost Titans, two Titans managed to escape Tartarus, and fled to a new universe, creating an entirely new world and realm called Aristos. In this world, the two Titans, Hyperion and Ophion, worked together to develop their world based on different ancient mythologies, and jointly ruled over the main city, the City of Light, together. However, as centuries passed, growing animosity between them escalated, and ultimately Ophion broke away from Hyperion and the City of Light to found his own realm and reign over it exclusively. In the beginning of the game, the player starts out in an underground training ground as a Warrior of Light trainee, who learns that their final exam has been expedited due to a catastrophe that has happened above ground in the City of Light, and to all of the nations of their world. Portals have opened, and enemy forces have begun to invade the lands. The player then learns even worse news – Ophion managed to kidnap Hyperion and destroy him, literally tearing him into pieces, which he then scattered around the world. However, not all hope is lost – since Hyperion is technically immortal, he still can be revived if someone can gather the pieces and help to restore Light back to the realm. That’s where all the Warriors of Light come into play. The players are driven to over 40 instances throughout the many realms of the world in search of Pieces of Hyperion. There are multiple mini-arcs as well, which center around the player trying to prepare the world for war, and striving to reunify the lands of Aristos, which had drifted apart after Ophion and Hyperion had broken off their relations many centuries prior to the invasion. MMOBomb: One of the major shortcomings a lot of browser MMORPG suffer from is the lack of character customization. What can you tell us about TLT’s customization? You can customize just about everything in the game. Customization is the lifeblood of The Lost Titans. I guess I’ll start by saying that, like many games, players can choose the gender of their characters, and modify hair designs, colors, and faces, and they can also choose their profession among three classes: Warrior, Ranger, and Mage. There is so much more to customize, though. For example, the weapons and armor are not only upgradeable, but players can customize their attributes by choosing up to four different Runes to socket within their gear, and, on top of that, can enchant their equipment with collections of Brilliant Shards that are dropped inside instances. There is also an ability to upgrade legendary purple weapons into Artifact weapons, which are the rarest magical items in the realm. All of that’s just the start, though. 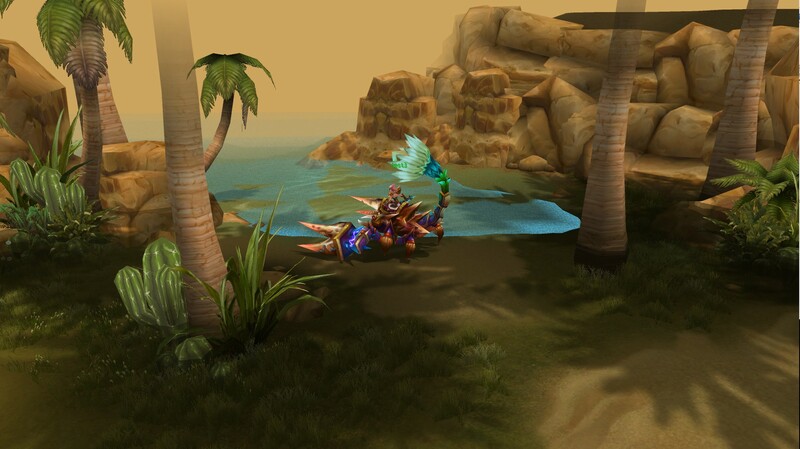 Players can also upgrade their mounts by increasing their Riding Skill in the game, and for every upgraded Riding Skill, the appearances of their mounts change. In addition, the mounts gain additional attributes that will passively buff the player, regardless of whether he or she is currently mounted or not. On top of everything, there’s also an incredible pet system, which I will discuss in further detail. MMOBomb: Can you tell us a bit about the unique pet system? The pets in The Lost Titans are especially unique because they not only can fight alongside you like a partner, but players can even customize what skills they want their pets to use. There are currently a total of 15 pets available to purchase through in-game currency, though players will receive a free pet once they reach level 15. All of the pets in The Lost Titans are chimeras, which are two kinds of animals that are combined to create a unique and original creature. They also have their own unique fighting styles, and higher quality pets such as the Foxtail are able to attack multiples enemies at once. MMOBomb: The Lost Titans features three factions, what unique opportunities does that present for players in both PvE and PvP? Having three factions in The Lost Titans definitely drives the action element a whole lot more, both for PvE and PvP, depending on however a player wishes to play the game. One thing to note is that, even though we have a three faction system, players won’t have to choose a faction until they reach that certain story point in the main questline of the game. That means if a player wishes to stay neutral and travel the world without worrying about fearing other players, they can simply choose to indefinitely put off choosing a faction. That will mean that a lot of battlegrounds and PvP activities will not be available to them, but they can still enjoy many other activities in the game, including all the events that occur in the City of Light, and all the side quests that will reward them for visiting instances and killing monsters throughout the game. That being said, though, those who do choose a faction have a great deal more activities available to them, and many of the activities can still cater to players who wish to mostly participate in PvE. The three-faction system allows for massive-scale battles, and the PvP battlegrounds are always alternating every day. PvP exists in the open world as well, which adds increased danger since it’s likely that 66% of players may potentially be enemies on the map, though there are a multitude of safe zones for players to rest easy in every zone, and they can still quest without worrying about watching their back. For those who do prefer some additional help to watch their back, the game offers an entire social system for players to befriend players within the same faction, and form guilds and parties for battlegrounds and open-world travel. The best way to describe the three factions is to compare it a bit to the Houses in Harry Potter. In The Lost Titans, players can choose between House Levidis, House Kalgeris, and House Vendramin. For those who are having a difficult time choosing, the game will automatically recommend a House to the player, and if the player goes along with the recommendation, they can get a reward. Regardless, they should always go with their gut instincts and do their research before joining a faction, because once a player chooses a House, they remain married to it, and their entire social experience within the game is determined by which House they belong to. The Houses have very different philosophies, which are explained in detail on our website tlt.zqgame.com, and they compete with each other both on battlegrounds and in open world for rewards and reputation, but it should be noted that all 3 factions have a common goal – to save Hyperion and restore Light to the realm, and that unifies all of the Warriors of Light during their progression through the main storyline. MMOBomb: Browser games are often notorious for Pay-to-Win cash shop practices. What stance has The Lost Titans taken in regards to the cash shop? It is true that a lot of browser games have a Pay-to-Win policy, but we are doing our best to avoid that. While players can purchase Gold from our site, it should be known that everything that players can purchase within the game is also achievable for free players as well. Most Gold will be used to upgrade equipment and mounts, though most of the upgrades can be achieved using silver as well. In addition, both currencies can be won through battlegrounds, arenas, faction battles, guild battles, in-game events and achievements, and various other activities within the game. Gold purchased through the website simply expedites the process for players, but as long as they remain social and active in the game, it’s possible for everyone, regardless of purchasing anything through the website, to achieve Gold. We’ve even made it so that players don’t even really need to participate in game activities to gain Gold. Just by logging into the game each day, players are automatically gifted with 10 Gold, so simply signing on to greet their friends everyday will reward a player with 300 Gold per month – a value worth $10. MMOBomb: What will the future hold for The Lost Titans? When it comes to the future of The Lost Titans, there is a great deal to look forward to. Because the game is a browser game, updates can happen easily and immediately, with no downloads required except for the initial plugin. We definitely have plans for future expansions to the game, starting with raising the level cap. Currently, the maximum level in the game is level 75, though with future expansions, we plan to raise the max level to be in the 100s, which will also include more environments, a larger storyline, and possibly new features. However, we’re currently still in the middle of production and looking to see what to include in the US version. MMOBomb: Thank you for your time! We at ZQGame are extremely excited to bring the game to English-speaking countries. This game had incredible success in Asia, reaching the top 10 list for browser games, and we’ve worked hard to localize and restructure it for Western audiences. It’s also completely free with no download required except a small plugin that’s less than 1 Mb, so it’s easy to jump right in and start playing the game. We are really proud of The Lost Titans, and look forward to showcasing the game to all its future players! Browser games are often notorious for Pay-to-Win cash shop practices. They got no costumes or cosmetics to help me differences myself from others. Spell selection is (unless I missed something) EXTREMELY LINEAR and the shop prices are OUTRAGEOUS!!! This game is pretty good but its reallllllly pay to win. Some items you can only get if u pay a HUGE amount of money. 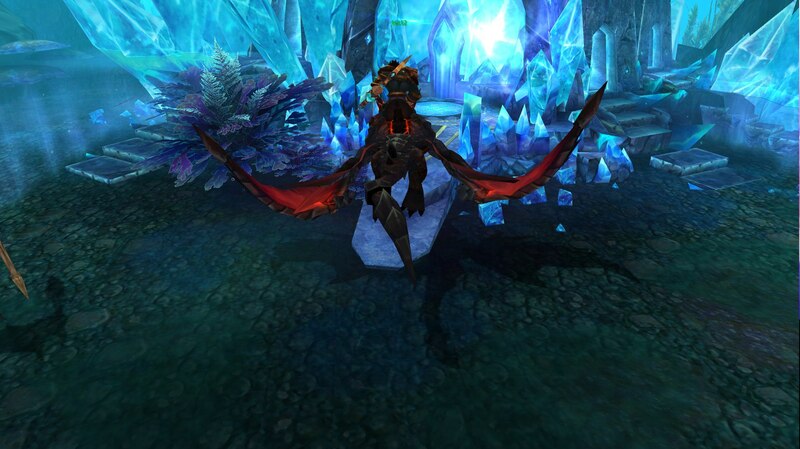 U must be a lvl 9 vip to get badass wings. But to become lvl 9 VIP you have 2 spent 10.000 Dollar……thats just crazy.